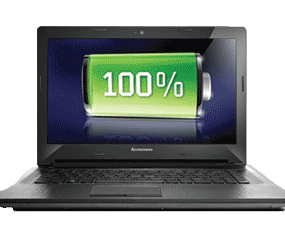 Lenovo G50-70 15.6" Core i7 Laptop Intel 4510U Haswell 8GB RAM 1TB HDD Windows 8. This super slim laptop packs in all the big features so you can have an ultimate computing experience. With a complete package of spacious hard drive, powerful processor and high class audio and video, this laptop is capable of satisfying all kinds of customers. Packing in a powerful Intel Core i7 processor, this laptop gives you a smooth computing with more responsiveness. This processor gives up to 15% improved CPU performance plus also features power reduction and battery jump. Optimized to work with Windows 8.1 it gives you a better experience in both work and play. Windows 8.1 lets you boost up your productivity by letting you keep all important things on start screen so you can spend more time in doing nd less time in searching. 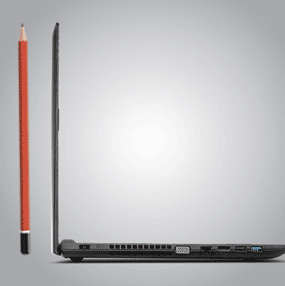 Weighing just 2.5 kg LenovoG50 is extremely portable laptop that can be easily carried around. Its 15.6-inch HD display with 1,366 x 768 display delivers sharp and vibrant visuals which mean you can enjoy media at its best. 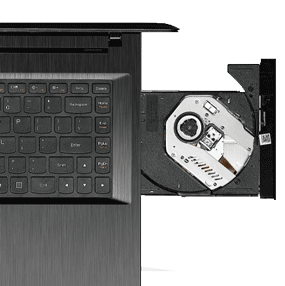 Featuring an integrated optical disc drive it allows you to easily watch your favourite movies. It also helps in backing up your data as you can store your important files on CD. Take most out of your laptop with its high capacity battery. Its long lasting battery also encourages you to take it on the go without worrying much about battery a sit gives you 4 hours between the charges. Le4novo G50 comes featuring Dolby Advanced Audio v2 which lets you have maximum enjoyment of your media. Have a cinema like experience as it lets you enjoy cinematic surround sound. Now you can listen music in high volume without any distortion. 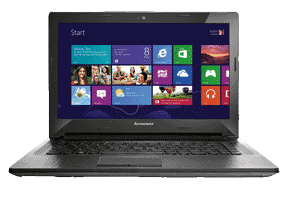 Lenovo G50 lets you work more professionally by giving you multiple options of wireless connectivity. Having a built-in 802.11b/g/n Wi-Fi adapter it lets you enjoy reliable internet connection even in public areas. Bluetooth 4.0 also makes work easier as you can wirelessly send files to other devices. Featuring an HD 720 p webcam it lets you enjoy web chats with high quality pictures. Your friends can now see your clear picture in web chats plus featuring enhanced low light capabilities it takes sharp pictures even in low lights. Pictures taken from this HD webcam look good even on large screen TV. The built in HDMI port lets you connect to multiple AV devices without any hassle. Through HDMI audio and visual signals are transferred through single cable which means no clutter of wires. VeriFace Pro is the latest technology used for secure log in. It uses your face as password, it supports more than one user. It offers more security to your data as it encrypts or decrypts files by using your face as password. It also checks the head movement as to check if it is a photo or a real person sitting in front of the laptop. Lenovo facilitates its users with Lenovo Cloud which is the free web storage of 5GB. You can store all your important data in it plus the data stored in Lenovo Cloud can easily be accessed by any device in any location. 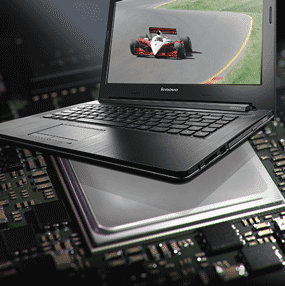 To boost up your computing Lenovo offers you some exclusive tools like Lenovo Companion and Lenovo Support. These tools enables you monitor your systems performance and let you take most out of it. Lenovo Energy Management is also a great tool which protects your battery and prolong the time spent between the charges. 1 Year Warranty Direct With lenovo.